What is Poké? It means deliciousness! 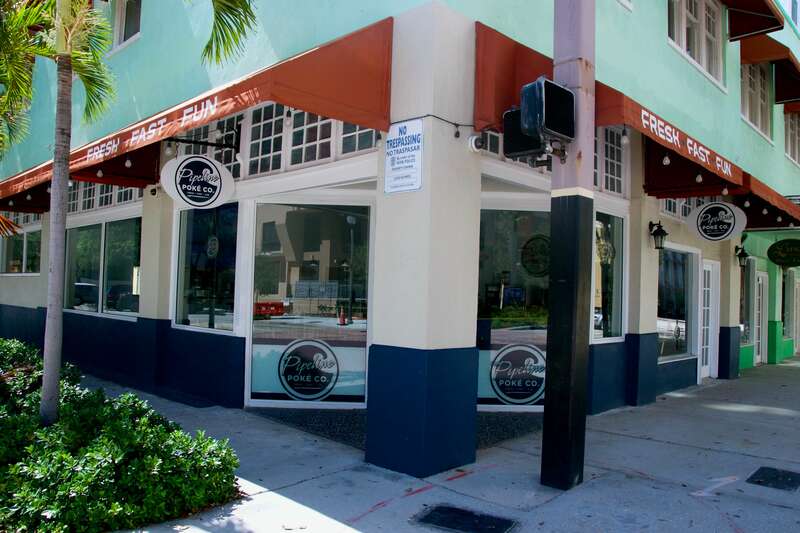 Pipeline Poké was born from a passion for seafood and a dream to serve real, fresh, quality Hawaiian cuisine to downtown West Palm Beach. In Hawaiian, Poké (pronounced POH-KAY) means “to section, slice, or cut.” Traditionally, it is served with chunks of Tuna or other seafood, such as Salmon. We take this cubed seafood, and spice it up a bit! Imagine sushi, but in a bowl. A bowl with rice or greens, fresh fruits and vegetables, homemade dressings, and topped with a crunch. Healthy, but always fun. Don’t like seafood? No problem! 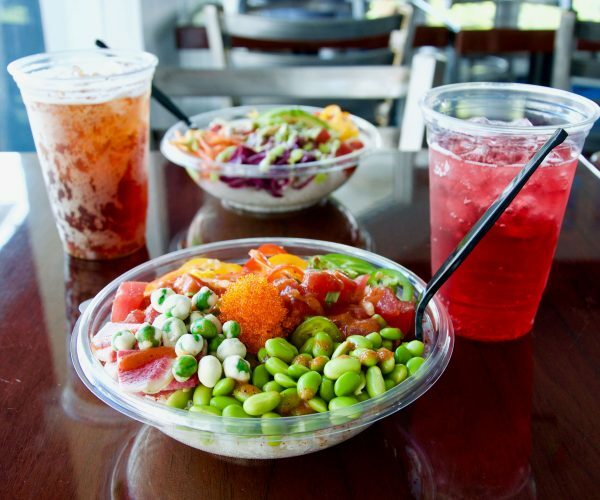 We also offer Poké bowls with Chicken or Tofu. 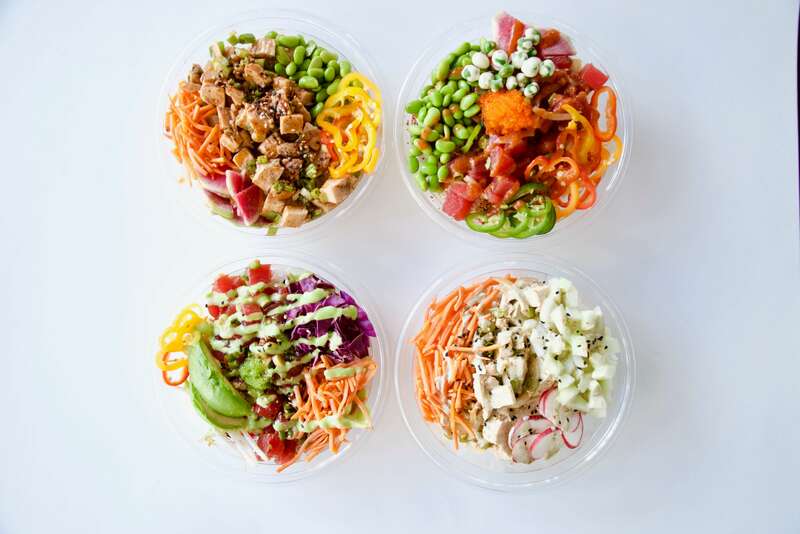 You can Poké Our Way with one of our five signature bowls: Banzai Bowl, Waimea Bowl, Kohala Volcano Bowl, Mainlander Bowl and Mea Ulu Vegetarian Bowl. We now also offer Açaì Bowls!! Açaí: 10% off your bowl, every day from 11-12pm. We are CLOSED on Dec. 31st at 3pm and all day Jan. 1st for the holidays. All of our ingredients are freshly cut and prepped each day for our guests. Not only that, but our seafood, such as our Salmon, is sustainably farmed in the Antarctic with no hormones, antibiotics or chemicals. We believe in only the best! We have three goals: fresh, fast, and fun! Add as many ingredients to your bowl as you’d like for an explosion of color and flavor. 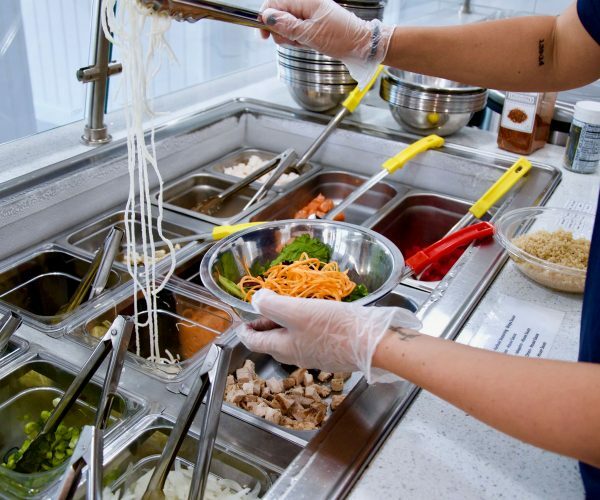 We’ll walk you through each step at our counter, where you can see all of our ingredients firsthand, and we’ll help you build the perfect Poké. Drinks- Stubborn Soda, China Mist Tea, Kona Brewing Craft Beer, and Copa Di Vino Wines! 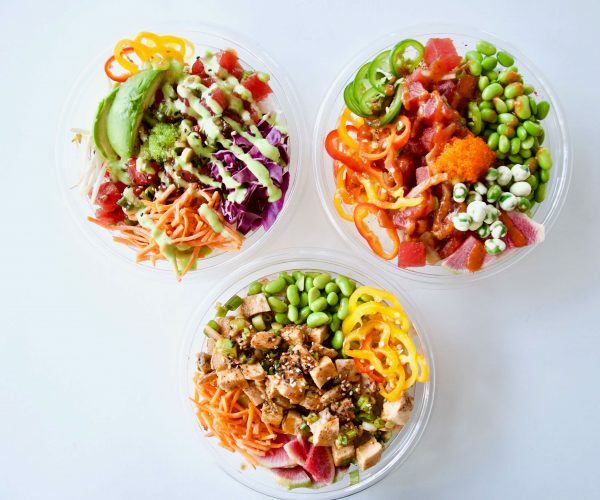 Pipeline Poké Co is a wonderful and diverse new addition to the downtown West Palm Beach restaurant scene. 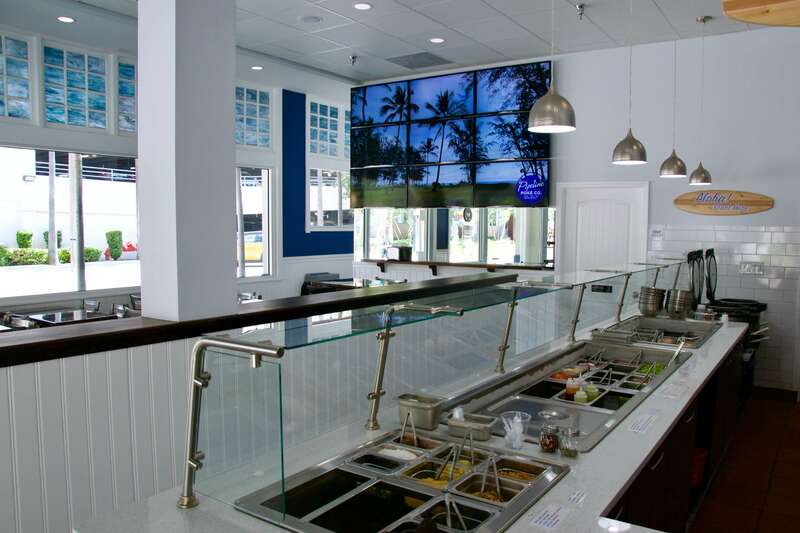 We look forward to serving the finest quality Poké bowls in south Florida! For land lovers, we also offer chicken or tofu bowls. 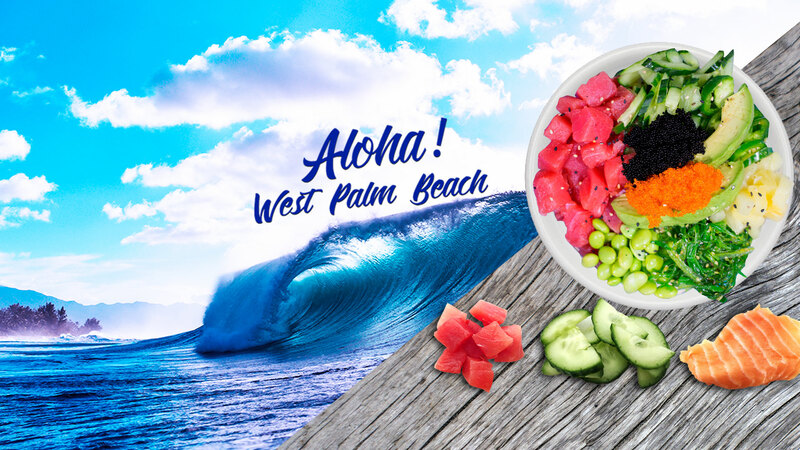 Our fresh and colorful ingredients will excite your palate, so stop by and check us out today! 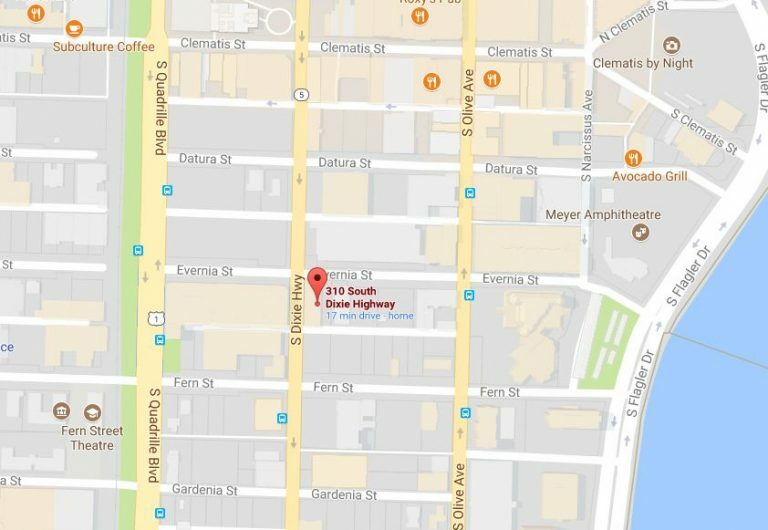 We are located at 310 S. Dixie Highway Suite 300.